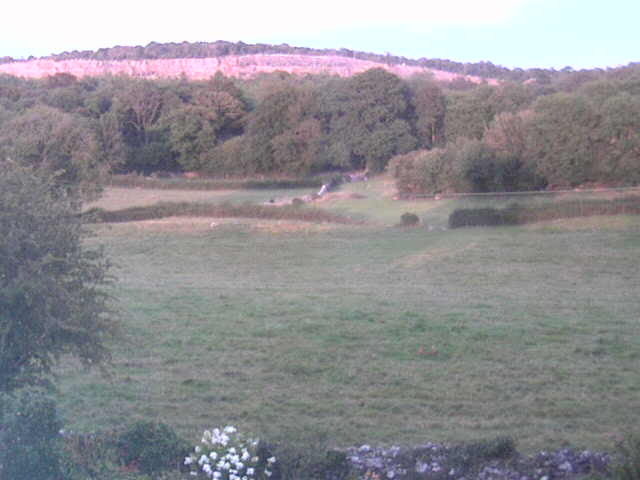 This webcam picture shows grass fields with Sandside quarry in the distance. At sunset with a clear sky the quarry face turns red reflecting the setting sun. There is no livestock in the field at present but you can expect to see pheasants, chickens, cats and maybe a deer or two.